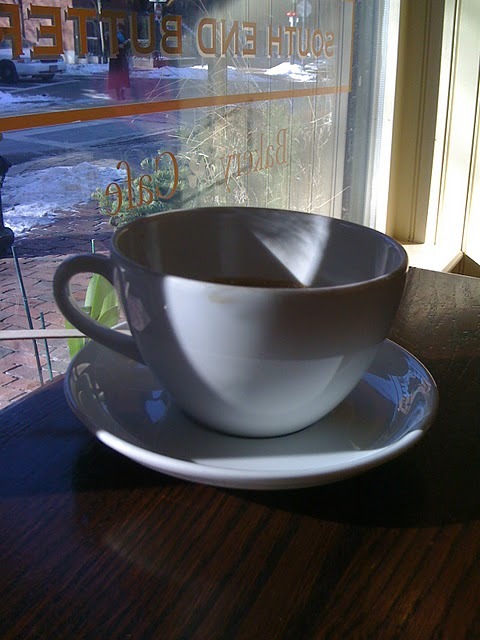 on a wintery saturday morning, it is a treat to sip a perfect coffee at one of my favorite boston bistros, the south end buttery, (www.southendbuttery.com). i enjoy the place, the people, the food, the drink, everything about it makes me feel good. great interior finishes-classic, but not too, simple but not plain.